Avaaz - End the bankers’ tax dodge! End the bankers’ tax dodge! We call upon you to support the proposal to ensure greater transparency rules and require banks to disclose their taxes and profits on a country-by-country basis. You have already signalled that cracking down on tax avoidance is a priority -- this is a crucial reform to ensure that everyone pays their fair share. 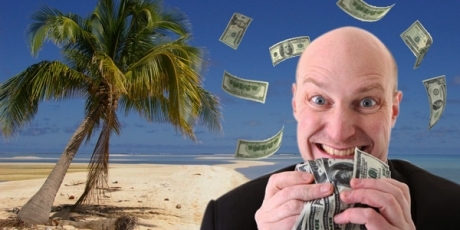 Big banks are hiding billions in tax havens around the world. In hours, the European Parliament can push through a reform to make them pay their fair share of tax on their already oversized profits -- but to win they need our support. Bankers are using complex accounting tricks to avoid paying tax like the rest of us, and they're not even required to tell us where their money is. But now the European Parliament wants to shine a light onto their tax avoidance. It's a no-brainer reform that expert economists widely support -- but key governments including the UK and Germany are siding with rich bankers to kill the proposal. Negotiations may end today, and allies in Parliament say that with massive public support, we can win this landmark reform to end banks' tax dodging. Sign the petition and tell everyone -- MEPs will deliver our message right into this afternoon's crucial meeting.